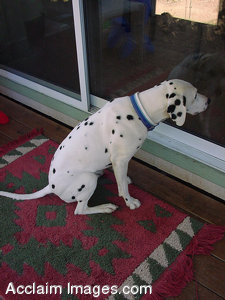 Description: This stock photo shows a Dalmation looking into a house through a sliding glass door. The dog in this image looks lonely. This image can be used for free with a link to us, provided below.